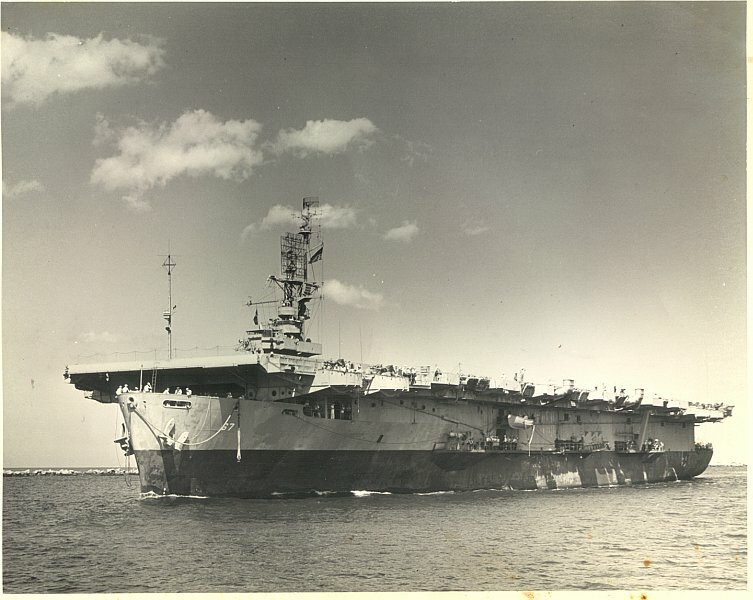 As leader of the research group my plan was to search specifically for the deck logs of the USS Solomons CVE-67 from the December 1945 time frame. (Pic 1) We were successful in finding it and those of the ships in formation with it during the search for the missing Flight-19 TBM’s (Pic 2, Model from the National Air & Space Museum) Excluding the Solomons, the USS Borum (DE-790), USS Durik (DE-666) and the USS Jenks (DE-665) all destroyer escorts were in the same area of operations for the search. The DE’s performed various functions during the cruise to include actions as plane guards and radar picketing. At a couple of points they each broke off to either refuel or drop off injured personnel in there home port of Mayport Florida or were tasked to search other areas of ocean in reponse to orders from the Solomons in response to possible sightings of rafts or debris. Having never seen a Deck Log before I was surprised to find how clean and legible they are. I had pictured an actual hard covered log with hand written notes, similar to those of a diary or a radio logbook or like an old fashioned Captains Log. They are laid out very systematically. The first page for every day contains columnar numerical figures in regards to meteorological and oceananic information as well as ship and engine performance. Every notation on the other ‘remarks’ page is usually no longer than a paragraph and mentions every course change, speed change, and time periods.Everything is annotated for a 24 hour period in blocks of 4 hours so the information doesn’t fill more than a 9″ by 14 inch page. It’s very systematic almost robotic in nature. Having said that. Is it any surprise that the there are very few mentions of the search for Flight-19 in the log? In fact, there is no mention in any of the pages from December 4th through the 11th December of the weather conditions on the remarks page. That is to say there are no anecdotal entries. Nothing with any personalized commentary or observations. Something I found very strange as it is alleged that she was encountering bad weather in the days immediately following the disappearance to include 30 foot waves at times. Waves tall enough to crash over the bow of the ship. The Destroyer Escorts would have had a very difficult time plodding through these waters and though many course and speed changes were plotted, again, there was no mention of weather. Use of SL radar (Ship and close in aircraft with a range at best 20 miles) by the USS Durik and the USS Borum is mentioned several times during the period between the 5th and 11th of December but at no other time does any other ship indicated the use of any type of radar in any kind of situation. I suppose we can assume, if from nothing else then from the Navy report of the Flight-19 investigation that the Solomons had some type -likely SC – radar in use at some point on December 5th. The SC radar has a maximum range of approx 100 miles. But again it is not indicated at all in the deck logs. If there is any documentation from the ship regarding the radar track it picked up late on the 5th indicating a non-identified formation of between 5 and 6 planes, it is either in some other form of log, or unfortunately lost to history. We may have to return to the archives at some point. Next C.C. Taylor and Possible PTSD?